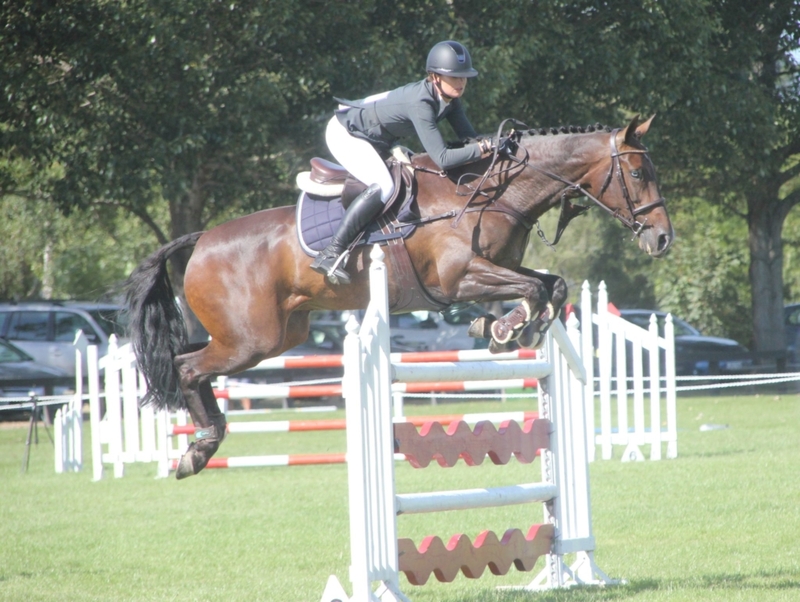 Fitzsimon won two major titles on the final day of the Tavendale & Partners National Show Jumping Championships. 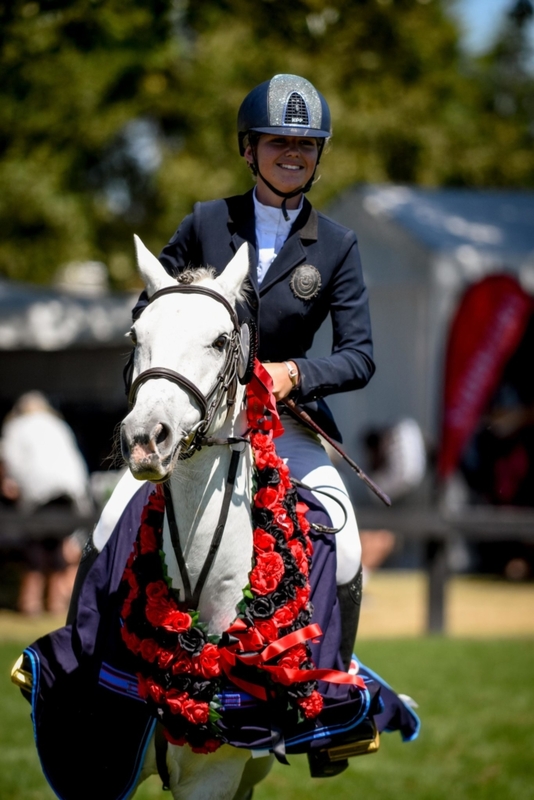 Windermere Cappuccino added a national title to his already comprehensive CV when he triumphed in the feature event in Christchurch today. 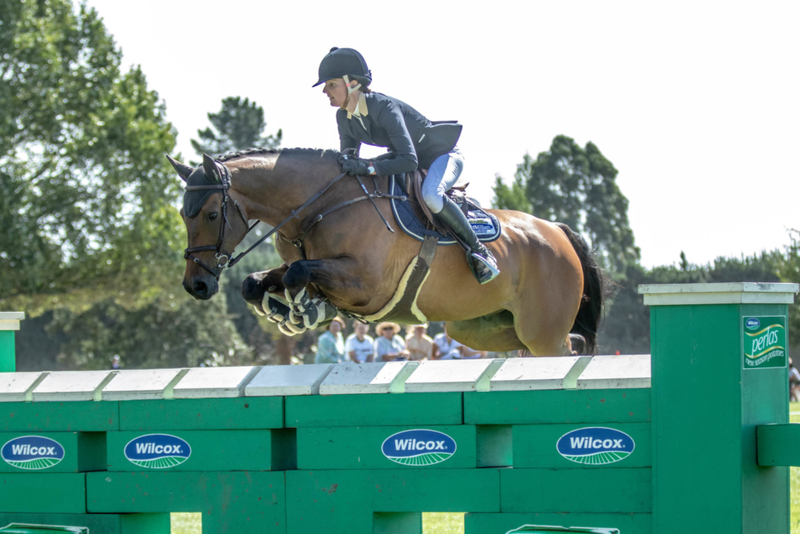 The final two round of the Dunstan Horsefeeds & Equifibre National Grand Prix was watched by a good sized crowd who were treated to a nail-biting finish which came down to the last fence. 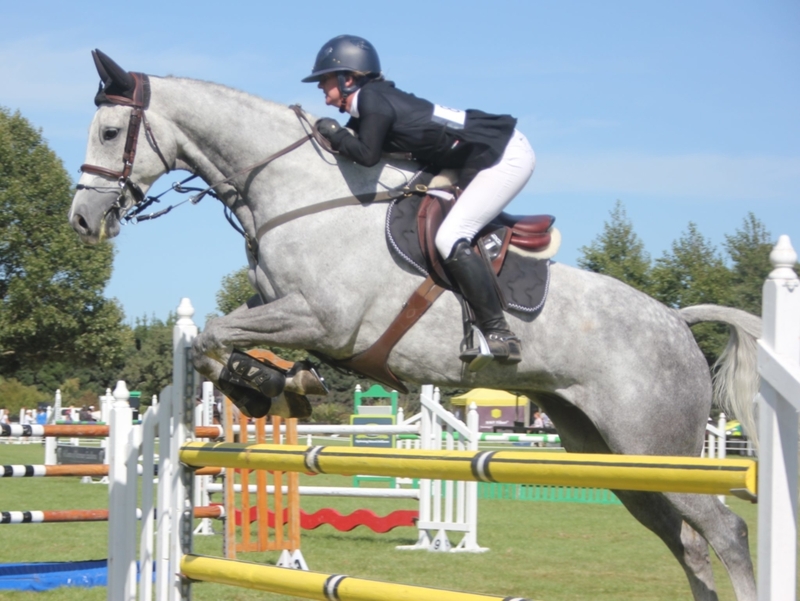 Tegan and the superstar Windermere Cappuccino (“Vollie”) came into the final round just 0.64 behind Steffi Whittaker on Eros K. Both horses had jumped clear in the first speed class on Friday and then again the first round of the Grand Prix. It all came down to the final round of the Gerit Becker designed course and it didn’t look like it was going to be Tegan’s day when Vollie took a pole. “He just felt like he was running out of fuel towards the end, it was really hot and he hasn’t done a lot of jumping since he won the World Cup Final,” Tegan said. Steffi and Eros K had been looking good all show, but the big chestnut stallion made one mistake mid-way through the round, and then heartbreakingly knocked the last fence down as well, to give the win to Tegan and Vollie. As to whether retirement ever will come for the horse, Tegan says it all just depends on how he feels from now on. And as to celebrations after a great weekend of showjumping, Tegan doesn’t drink alcohol so was looking forward to a fanta and then a good sleep! Sophie has had Benrose Silver Shadow for just over a year, and Te Ngaio Raggamuffin for two years. 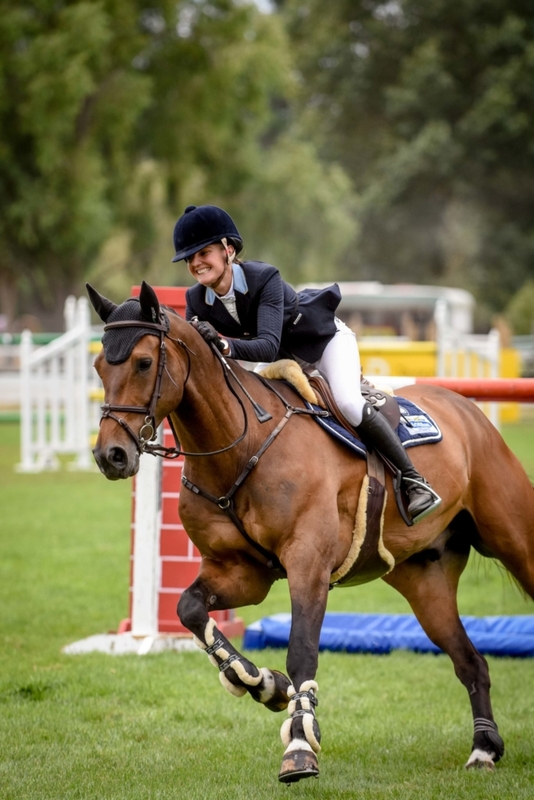 The 15-year-old St Margaret’s College student is planning on heading to the Horse of the Year Show in Hastings in mid-March, with the Pony of the Year in her sights.